Lighten up your living room! Secure new beautiful doors from us. 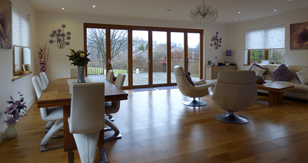 Or do your require a repair or replacement of existing Bi-Fold Doors? For a free no obligation quote, please call us on 020 3592 3491 and we will be happy to talk through your options.